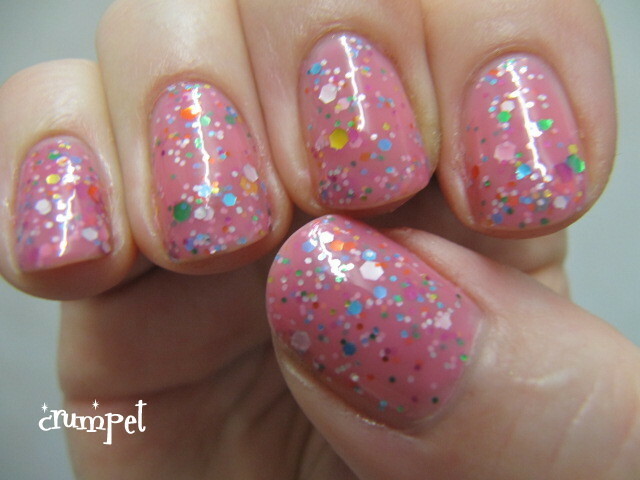 Another Wednesday and another pink mani for Breast Cancer Awareness. 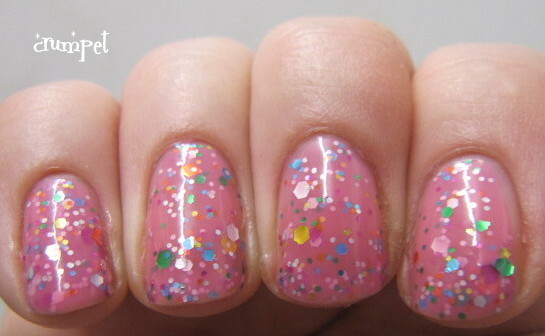 I DO plan to do some pink nail art for the next 2 weeks. I feel SUCH a slacker for just picking swatches out the vault, but time has been really short. 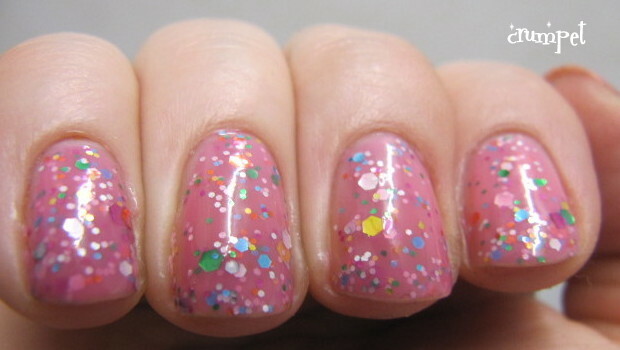 Today we have an indie I swatched way back in June with my old camera. Look, look! Look at my lovely smooth sidewalls before they became dryer than a dry thing! I am really struggling to get them back to tip top condition. I've been cuticle oiling, soaking them in oil, but they still look poorly - any and all tips gratefully received! 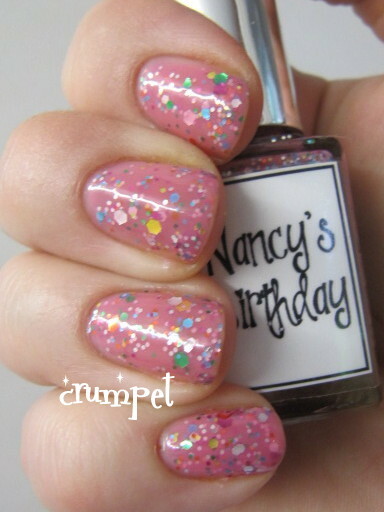 Pam makes some amazing polishes and Nancy's Birthday is no exception. 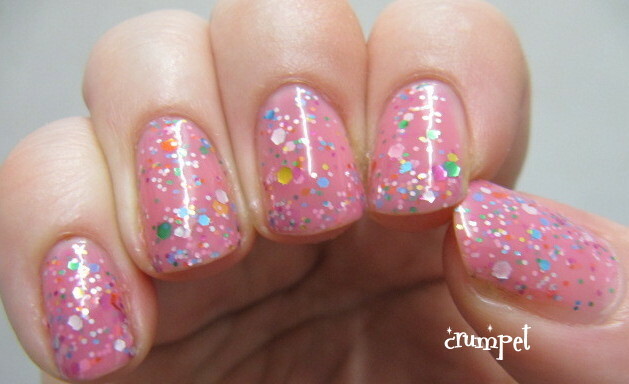 Creamy and smooth, it applies easily in 2 coats. 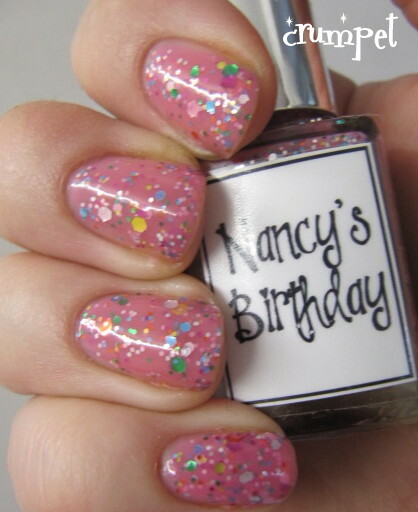 Nancy is similar to Candy Shop in that it's a semi-opaque baby pink base with multi-coloured glitter in it, although the mix is a little different. 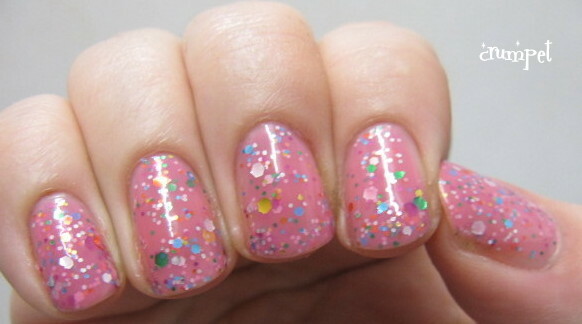 I like the random yellow glitter, which gives it a really fresh spring / summer feel.